The Marine Conservation Society is urging more volunteers than ever before to take part in the 25th Great British Beach Clean from September 14 - 17 at Formby Freshfield (north of Victoria Road), Half Moon Bay or Rossall Beach, Cleveleys. Volunteers will also record any litter they find. The charity hopes its mission will help to change both policy and people's behaviour towards coastal life. Lizzie Prior, MCS Beach and River Clean Project Officer, said: "Volunteers are the lifeblood of the event and have been since 1994. "The data they collect is vital: last year an amazing 37 volunteers took part in the Great British Beach Clean on Lancashire beaches. 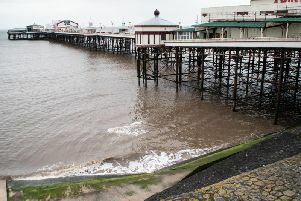 "We’d love to see even more people heading to Lancashire’s beaches and helping clean up at the events." There will be at least five beach cleans and surveys in the county but so far only 171 volunteers have signed up. Food giant Waitrose is sponsoring the event for the second year in a row and donates cash from its national carrier bag sales towards the charity's year-round beach clean programme. MCS's work is also supported by players of People’s Postcode Lottery. Beach cleans ups take place every third weekend in September and the latest is part of the International Coastal Clean-up, which takes a snap shot of beach litter across the planet on a single weekend. Register your interest online before the event at www.mcsuk.org/beachwatch/greatbritishbeachclean or turn up on the day. For more information and start times visit the website or call 01989 566017.